Simon Harris TD is the Minister for Health. He previously served as Minister of State at the Departments of Finance PER and Taoiseach with Special Responsibility for the OPW, Public Procurement, and International Banking (incl IFSC) and was elected to Dáil Éireann in the last General Election. Simon’s involvement in politics began after he established an Autism support and lobby group in County Wicklow to seek to give a voice to people living with Autism and their families and to articulate their concerns and needs. He works tirelessly as a disability advocate and through his work in the disability area he has first-hand meaningful understanding of issues affecting people with disabilities. Passionate about Wicklow and Ireland, Simon brings to the Dáil and to his constituents; energy, youth, new ideas and a voice in Government for County Wicklow. Simon’s work as a disability advocate extended to him being appointed to a Committee of the National Disability Authority to assist with the organising of the European Year for People with Disabilities. The Minister for Health, Simon Harris TD, today (Wednesday) welcomed the passing of the Referendum Bill through Second Stage in the Dáil. 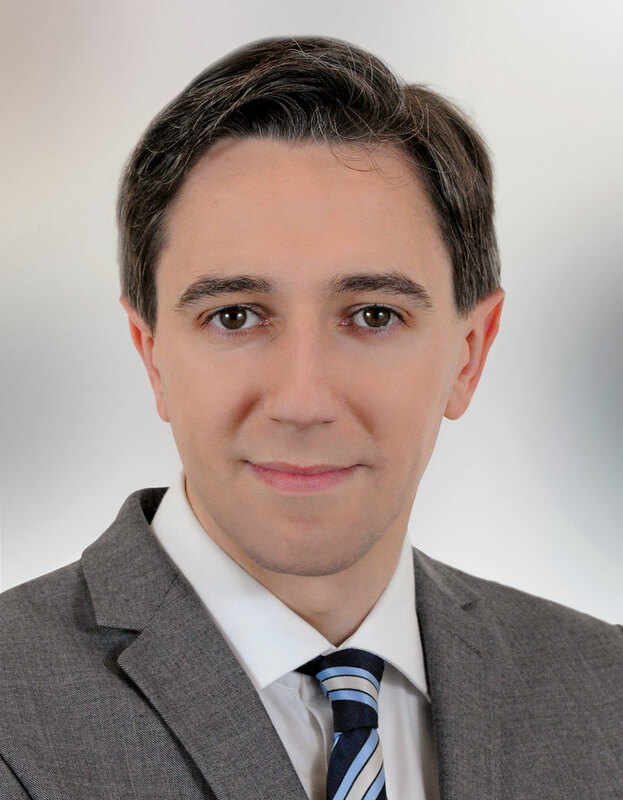 The Minister for Health, Simon Harris TD, today announced that the Government has approved the investment required to enable the National Paediatric Hospital Development Board to award the construction contracts for the building of the main children’s hospital on the St James’s Hospital campus and the two Paediatric Outpatients and Urgent Care Centres on the Tallaght and Connolly Hospitals campuses. Minister for Health, Simon Harris and Minister of State, Marcella Corcoran Kennedy today (Wednesday) announced that the legislation for the standardised packaging of tobacco is to come into force in September 2017.